Costa Mesa Playhouse celebrates its 55th season with a bold, diverse selection of plays and musicals - the kind of electrifying theater that has become our signature. Jul 19 - Jul 28 2019 A deaf, dumb and blind boy's journey from pain to triumph is a sensory-defying rock and roll experience. 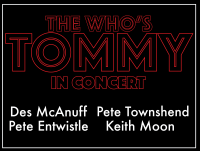 Based on the iconic 1969 rock album, "The Who's Tommy" is an exhilarating story of hope, healing and the human spirit. The story of the pinball-playing, deaf, dumb and blind boy who triumphs over his adversities has inspired and amazed audiences for 50 years. Our concert version of this five-time Tony Award-winning musical is presented as a special attraction to kick off Costa Mesa Playhouse&apos;s 55th season. This special concert performance is not included in season subscriptions. Aug 23 - Sep 15 2019 A gleefully theatrical parody of Alfred Hitchcock's 1935 film, performed by a cast of four that seems like a cast of thousands. Mix a Hitchcock masterpiece with a juicy spy novel, add a dash of Monty Python and you have this thrilling and riotous whodunit for anyone who loves the magic of theatre. A cast of four actors plays over 150 characters in this fast-paced tale of an ordinary man on an extraordinarily entertaining adventure. Winner of two Tony Awards and the 2007 Oliver Award for Best Comedy. Oct 18 - Nov 17 2019 This multi-award-winning musical follows a scarred woman who embarks on a cross-country bus trip to be healed by a minister and discovers the true meaning of beauty along the way. Set in the Deep South during the early days of the civil rights movement, and featuring an energetic gospel, rock, country and R&B score, "Violet" follows the growth and enlightenment of a bitter young disfigured woman who embarks on a long bus trip to receive the healing touch of a TV evangelist who she believes can cure her. Along the way, she meets a young black soldier who teaches her about beauty, love, courage and what it means to be an outsider. Winner of the Drama Critic&apos;s Circle Award for Best Musical. Jan 24 - Feb 16 2020 A funny and heartrending drama about the trials and tribulations that test family ties by one of America's most acclaimed and beloved playwrights. 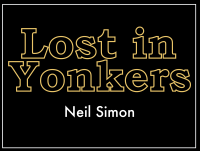 Neil Simon&apos;s Tony and Pulitzer Prize-winning coming-of-age memory play, set in Yonkers in 1942, is a tale of family dysfunction at its best. Arty and Jay, two teenage brothers are forced to live with their mentally-challenged aunt and stern, bitter grandmother while their ne'er-do-well father takes to the road as a traveling salesman to pay off his debts to a loan shark. Winner of four Tony Awards and the Pulitzer Prize for Drama. Mar 20 - Apr 12 2020 The poignant true story of a woman&apos;s dedication to the stars, and the human touch that makes life under a vast universe beautiful and timeless. The true story of early 20th-century astronomer Henrietta Leavitt, a brilliant, headstrong pioneer who struggled for recognition in the male-dominated world of turn-of-the-century astronomy. "Silent Sky" explores a woman&apos;s place in society during a time of immense scientific discoveries, when women&apos;s ideas were dismissed until men claimed credit for them. A celestial romance and true story of discovery. May 15 - Jun 7 2020 One of the greatest plays of the 20th Century by one of America&apos;s great playrights. Widely considered his greatest work, Tennessee Williams&apos; "A Streetcar Named Desire" is set in a sweltering New Orleans, where a wilted Southern belle collides with the dysfunctional marriage of her sweet sister and brutish brother-in-law. Winner of two Tony Awards and the 1948 Pulitzer Prize for Drama.